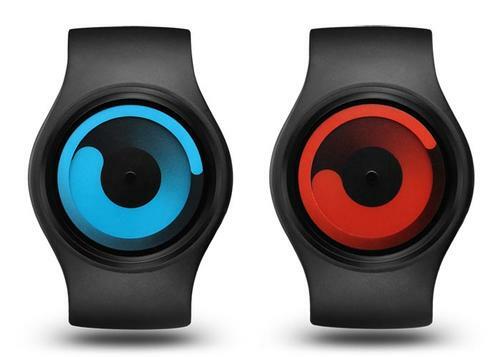 The new Ziiiro Gravity Watch, from Ziiiro, tells the time with two rotating swirls. We love that. Coming in six different colours from magenta pink to banana yellow via a dreamy aquamarine, it lets you know the hours and minutes by rotating its central swirl, in the manner of some portal to another world. As previously stated, we really do love that. Like with many of our favourite watches, telling the time is sort of secondary to the main joy of having some really weird strapped to your wrist. However it does work for timekeeping – the tip of the inner swirl represents the current hour, while the outer swirl is the minutes. Simples. You can change the display colour scheme and it’s water resistant down to 30m, if you do that kind of thing. 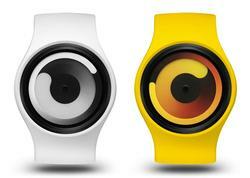 ZIIIRO Gravity watch is available in 6 colors including white, red and white, green, blue, yellow, red and black. Each one is priced at €110, or the ones with metal straps are more expensive.